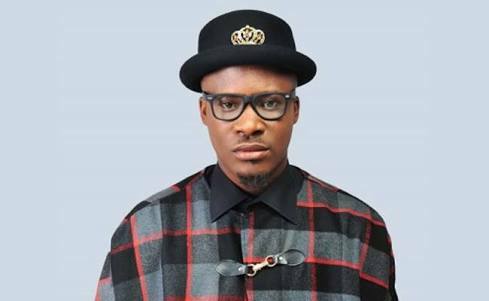 Jaywon has revealed why marriage can never work for him. According to him, marriage has destroyed a lot of things, but partnership wont. “One of the things I look for when it comes to having a relationship is happiness and being able to manage each other (me and my partner). I don’t think I need marriage; all I need is a best friend that we can just be together and understand each other for the rest of our lives, have kids and build an empire together. “I feel that when the word marriage comes into the picture, that is when the problem starts. Everybody starts to feel like they have a right and all that. We can just be best friends and be together forever; it is more important than calling it marriage. If it is a partnership, then let it be so, if we can pray, make money and have children together. I don’t need any other thing. “If I can have all that, I am okay; marriage has destroyed a lot of people. I am not married yet because I have yet to find the right woman. I feel if there is no love, we cannot progress. Even in a company, if there is no love, the company won’t grow. I have been heartbroken many times in the past; ‘Saro’ my song, is a true life story. “My son is the most important thing to me right now; everybody knows I travel a lot. Each time I travel out of the country, I get to pay him a visit. The only reason why he has not visited Nigeria is because he needs to grow, he is still growing. I don’t care about what the society thinks, the society has killed a lot of people and messed them up because they put the society before themselves,” he told Saturday Beats.